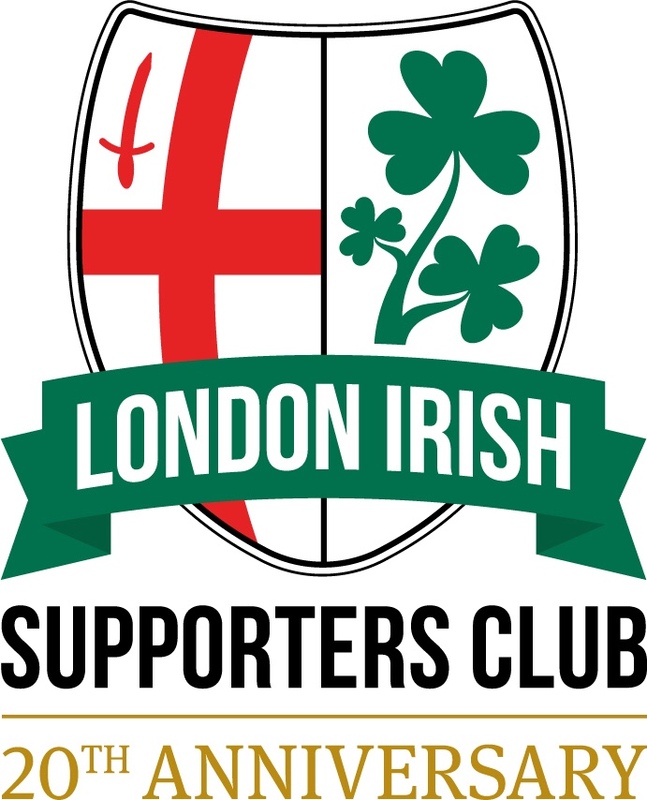 Since its formation in 1998, the London Irish Supporters Club has gone from strength to strength. We have striven over this time to enhance the enjoyment of following all things London Irish, be it Professional, Academy or Amateur. Prior to most home games the LISC pitch tent between the Megastore and the North Stand Bar between the hours of 1.00pm and 2.15pm(for 3pm KO’s). We welcome all members, and even opposition fans, to joins us for a chat. Committee members will be in attendance and we’ll also have on sale our range of merchandise. This includes such essentials as LISC branded beer carriers and glasses! The LISC runs events throughout the season. Our most popular events are the “Meet the ….” nights. Over the years we have had many Club representatives entertain us with valuable insights into how London Irish functions from both a playing and behind the scenes points of view. From outside of the club Wayne Barnes, Ash Rowden, Dean Richards, Tony Spreadbury and HHJ Jeff Blackett are a few names that have helped our understanding on many aspects of Rugby. We hold regular committee meetings in Reading. If members have any questions they would like answered or issues raised, either with ourselves or London Irish, any of the committee members can be contacted. All of our details can be found on our website www.londonirishsupportersclub.org. We will endeavour to deal with these on your behalf and raise/resolve with the necessary parties. Communication with our members is very important to us. We endeavour to send e-mailed newsletters on a weekly basis to keep you up to date with news, views, match reports and all things London Irish. Our website is regularly updated with advice on away travel. You can also follow us on Twitter or on Facebook. Other benefits include discounts on selected LISC Merchandise, entry into draws to win hospitality packages and LISC sponsored players authentic (still covered in sweat and mud) match shirts. When joining you’ll also receive a membership card, exclusive pin badge and a car sticker. Membership fees are just £10 per year. Full details of how to join us can be found on the Membership page of our website. We look forward to seeing you soon for another season of fun and frolics both on and off the field! PS We’re always on the lookout for new Committee Members. If interested, contact me on kieran.madigan@londonirishsupportersclub.org.